Our Holiday Maker is here at Handzy and serving up some tasty cocktails....flavored candles that is!! At Handzy we love candles + we also love cocktails! So, we're extra excited to introduce our Maker of the Month (which we're extending for the holidays), Wixology! 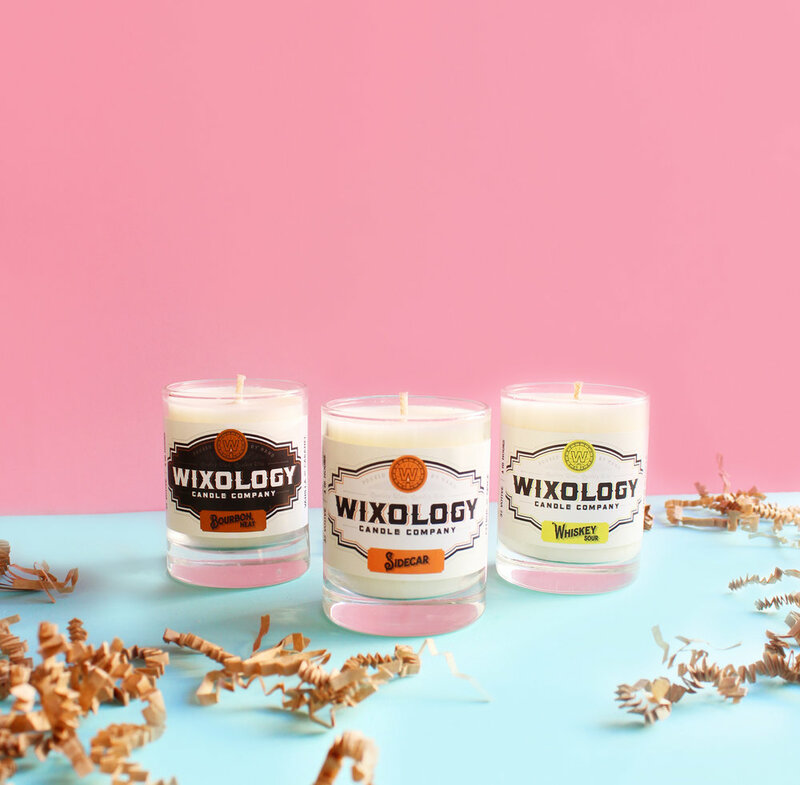 Wixology Candle Company, a Lexington, KY based company, was started by a group of friends as a way to celebrate the spirit of Kentucky bourbon-based cocktails. All of the candles are made from 100% soy wax + are hand poured in Kentucky. The coolest part about their products is that, as way to encourage customers to recycle, all of the glasses can be reused as cocktail glasses—they even have a recipe on the label! WHAT?! If you need tips on how to get wax out of jars, this is my go-to way. I'm torn between the Whiskey Sour and the Barrel Aged Cider as my favorites, they're both fresh and seasonal scents. But let's be real, they're all good! Wixology also has a strong desire to support charitable organizations in their community that share their enthusiasm for sustainability and education. A portion of their profits are donated to FoodChain—an organization that helps bring fresh, healthy food to residents with limited options. I mean does it get any better—candles, booze and doing good?! We didn't think so. We have so many candles in the shop. Come pick out your favorite flavor! They make especially great gifts for the cocktail lovers out there! Be sure to follow both Wixology on Instagram! !